language full of grunts, growls, and abrupt vocabulary. equivalent of English on Earth. and picks up new skills quickly. but will wear almost any clothes he finds In Void City. hand fighter and proficient in all bladed and blunt weapons. He has a high physical prowess and acrobatic skill. breaking any bones. All around very tough. superior race and at the top of the food chain among Goblin-kind. all Goblins he craves combat, power, and wealth in that order. 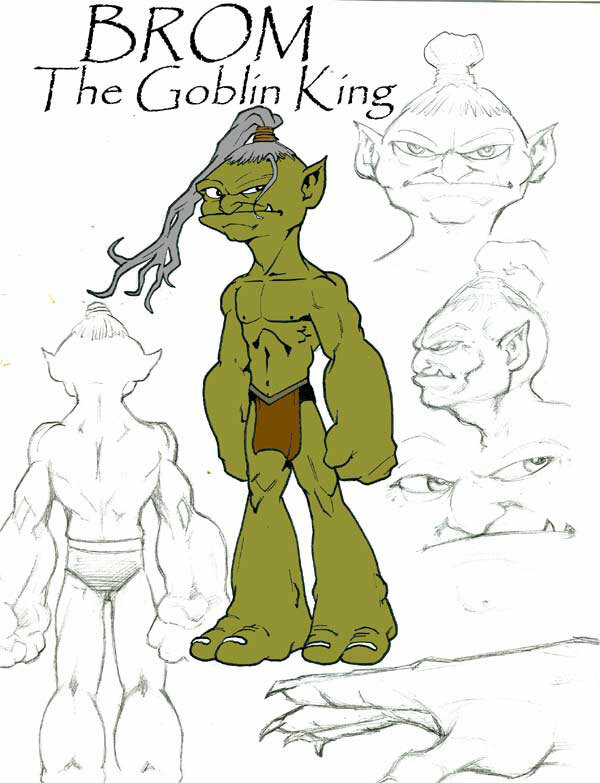 Background- Brom was the youngest of three brothers in line for the Throne of Airock, the Goblin Capital City. When his father died, he was named King over his brothers, which made them furious. 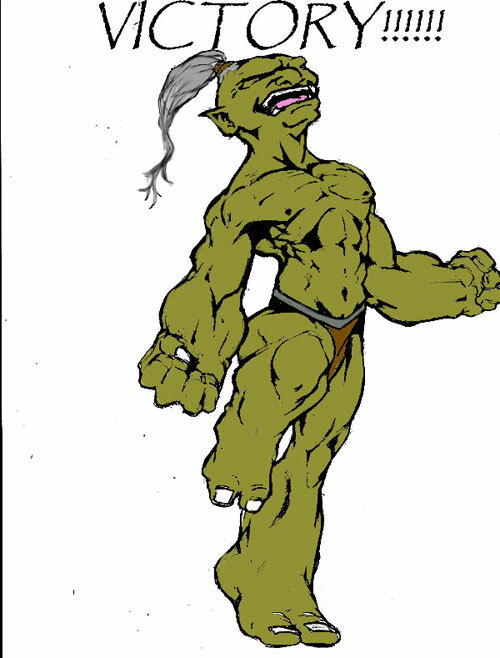 Goblin law forbids any members of a house or family to take another goblins life from that same family, making it impossible for Broms brothers to assassinate him without forfeiting there own lives. Therefore they made a secret pact with a rival House who had in their possession a magical scepter capable of opening rifts to other worlds. Magic was once a very strong part of Goblin theocracy and at the center of there religion. 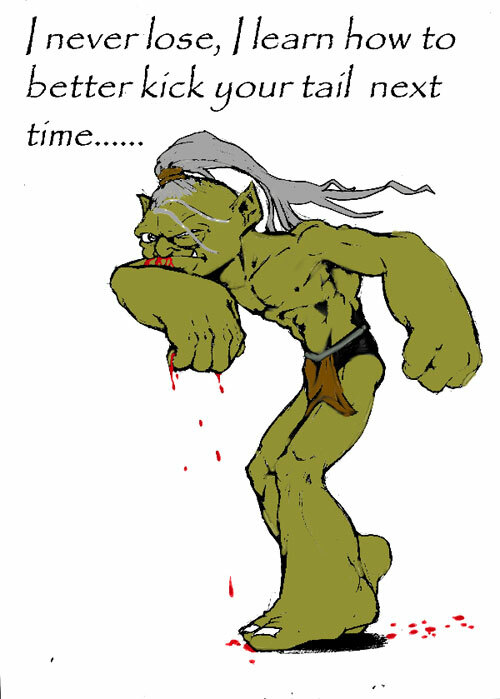 But at some point, long before Broms time, it had passed into obscurity and into Goblin legend. Brom was taught magic words of power as a child by an old grandmother but he always thought it was myth. That is why he never saw the threat until it was to late. His brothers used the scepter to banish Brom so that they could legally take the thrown. When Brom awoke, he found himself on Earth in a dark alleyway of Void City.